Death with Dignity: Why do Patients Request Assisted Death? The Oregon Death with Dignity Act, enacted in 1997, legalized physician assisted death (PAD). Dr. Ganzini will present information about the Act, ethical arguments for and against legalization of PAD, and results from a series of studies that examine: (1) Oregon health care professionals' views on PAD and experiences with requests from patients (2) requesting patients' explanations about why they prefer PAD and (3) Oregon hospice chaplains' views on PAD, moral and theological beliefs that influence their views, and experiences with requesting hospice clients. Dr. Ganzini will share her experiences on approaches that most effectively assist requesting patients and their families. Linda GanziniLinda Ganzini MD MPH is associate director HSR&D Center of Innovation at the VA Portland Health Care System, where she was previously director of the Interprofessional Palliative Care Fellowship. 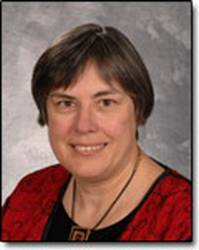 In addition, she is a professor of psychiatry and medicine at Oregon Health &Science University, where she is also director of the Geropsychiatry Fellowship Program and a senior scholar at the Center on Ethics in Health Care. She completed her psychiatry training at OHSU, her geriatric medicine fellowship training at the Portland VAMC, and received a masters of public health with emphasis in epidemiology and biostatistics from OHSU in 2003. She was a Project on Death in America faculty scholar. She has received grants from the VA and from private foundations, including studies to examine the prevalence of mental disorders in hospice patients and physician aid in dying, and is a coinvestigator on studies of suicide risk assessment in veterans. Her research on the Oregon Death with Dignity Act has been published in the New England Journal of Medicine and JAMA (Journal of the American Medical Association).